You asked sometime a question why hair becomes dry? Such hair is especially fragile and require good care. In order to make them look healthy and beautiful, take advantage of useful recommendations. When the sebaceous glands of the scalp do not secrete sufficient amount of sebum, hair becomes dry and brittle. They are no longer protected from the harmful effects of the environment and are more susceptible to negative factors. - frequent bathing in salt water or pool chlorine. In order to significantly improve the condition of hair, moisturize them, nourish and make you look beautiful, follow these tips – they will help you. 1. Wash your hair 1-2 times a week a certain shampoo. It must simultaneously protect, nourish and moisturize. Use the conditioner for dry hair after washing, with special attention to the length and ends. Rinse hair with lukewarm water. 2. Pamper your hair with nourishing masks every week. Roots remedy RUB should not be, only for the entire length. Wrap head with a towel to the active substances are better absorbed and moved fast to act. 3. Always unravel the hair comb with wide teeth to avoid breakage. It is also recommended to use brushes with natural fibers to smooth hair without damaging them. 4. 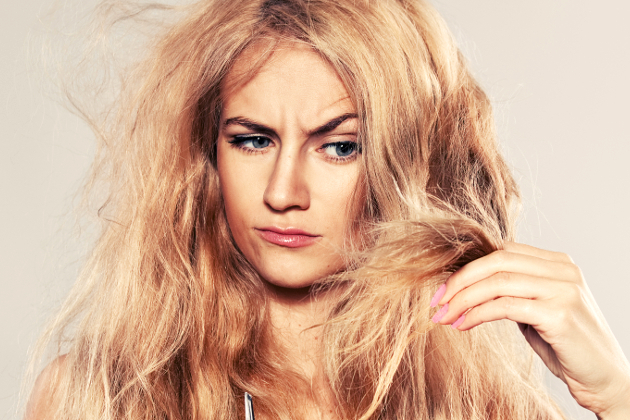 Limit the use of Hairdryer, Curling tongs, straightening plates. 5. Do not overdo it with colors. For painting it is better to choose products without ammonia. 6. Use a variety of oils to nourish your hair. Avoid hair products that contain alcohol. 7. Use a balanced diet, rich in vitamins and essential fatty acids. Fatty fish (salmon, sardines, mackerel), whole grains, nuts (walnuts, hazelnuts, almonds), vegetable oils (olive, canola, walnut) are your allies.